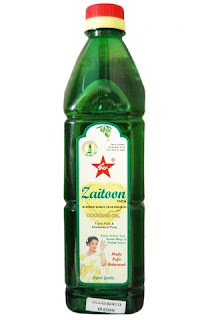 Today, I will share my experience with cooking oil Zaitoon Tara which is a mix of Rice brain oil and Olive oil. 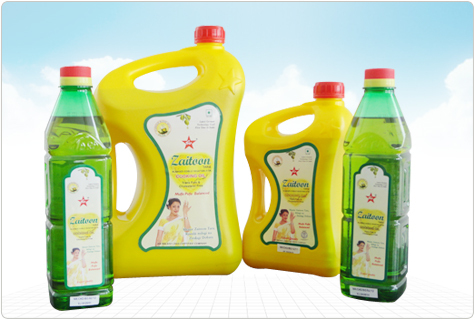 In India, the number of people suffering from various health problems is on rice and we can put some control on these health issues by using a healthy cooking oil. We need a cooking oil, which is rich in Omega fatty acids and antioxidants. Zaitoon Tara is also one such oil, which adds essential nutrients to our diet. This oil is a blend of Rice Brain oil (80%) and Olive oil (20%), due to this reason, we get the benefits of both Rice brain and olive oil. Zaitoon Tara provides us with ideal MUFA/PUFA ratio with negligible Trans fats. Today, many people are facing many health problems because of less intake of essential fatty acid and high intake of Trans fatty acids. While by adding Zaitoon Tara to our cooking, we can easily get an ideal ratio of essential nutrients in our diet. This oil is also very rich in essential vitamins like A, D, E, K and Beta Carotene and anti-oxidants. Thus we get a good dose of essential nutrients and anti-oxidants by just adding Zaitoon Tara to our cooking. The other good point of this oil is that we need a very small quantity of it for cooking, thus it lasts longer as compared to other cooking oils. The taste of this oil is also very good and we don't find any difficulty in eating food cooked with it. Today, both Rice brain oil and olive oil have established themselves well as good healthy oil. The problem with olive oil is that it is still very expensive in India, and it doesn't have a high smoke point, thus not a good option for Indian cooking. Whereas in the form of Zaitoon Tara, we get the benefits of both Rice brain oil and olive oil at a reasonable price. In India, the health problems like heart disease, diabetes, cancer, stroke and bone related issues are on the rise and one of the main reason behind all these problems is our bad eating habits. I shifted to this oil because of an increase in bad cholesterol and Trans-fats in my blood. After changing to a healthier diet, I am feeling much better and healthier as compared to the past. Today, it is very essential for all Indians to select their cooking oil with care and they should avoid excess use of vegetable Ghee is cooking. The other good point about Zaitoon Tara oil is that as per company claim they process this oil through physical methods and don't use chemicals, thus retaining more nutrients in the oil. The only difficulty, I get with this product is that it is not freely available in the market and you need to visit many shops to get it. My rating for this product is 8 out of 10.